War Horse, the story of a boy and his beloved horse in war-torn Europe, galloped away with five Tony Awards last June. On April 14, the show celebrated one year on Broadway, while still playing to packed audiences. In honor of the show’s first Broadway anniversary (and the national tour that launches in June), War Horse star Stephen James Anthony guided Broadway.com’s cameras on a backstage tour of its home at the Vivian Beaumont Theatre at Lincoln Center. Anthony, who made his Broadway debut a year ago in the show, knows all the ins and outs of War Horse and was happy to share the show’s secrets with us. 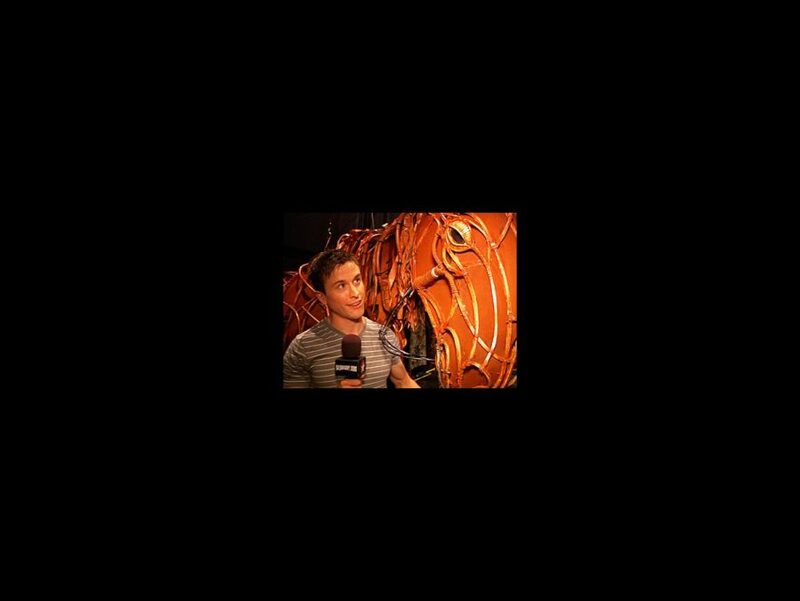 Watch as Anthony unveils the inner workings behind the 100+ pound horse puppets, introduces his co-stars and shows off the War Horse "guns" (his arms). Click below to go into battle with Stephen James Anthony and get your tickets today to see this Tony-winning show, now celebrating one year on Broadway!